A refreshing part of returning to SGU is remembering how ambitious the storytelling was for a mostly episodic franchise. Both SG-1 and SGA referenced previous episodes and told an ongoing story, but most episodes were self-contained. The choice from Wright and Cooper to use a serialized approach made their third series flow smoothly on a re-watch. The hurdle originally was keeping fans connected on a weekly basis. It’s one thing to follow the three-episode arc of Scott’s group separated from the Destiny in a binge viewing. Splitting that narrative over three weeks (and potentially more due to DVR) was more challenging. The TV landscape has changed quite a bit in even the past five years. The Netflix model has drastically altered our habits, and SGU connects much better with that approach than the structures of previous Stargate series. “Lost” focuses most on the missing group and uses that set-up to explore Greer’s troubled past. The plot is very simple. Scott, Greer, Eli, and Chloe scramble to find the Destiny before it leaves the galaxy. It’s a classic problem that wouldn’t be out of place in many sci-fi or action series. Rush and James lead crews trying to find them, and the clock is ticking. The split among the crew from “Divided” feels long gone. Both the military and civilians are working together to save their fellow crew members. There’s enough material to fill an hour of television. 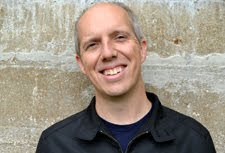 What makes the script from Martin Gero click is the development that happens beyond the basic story. 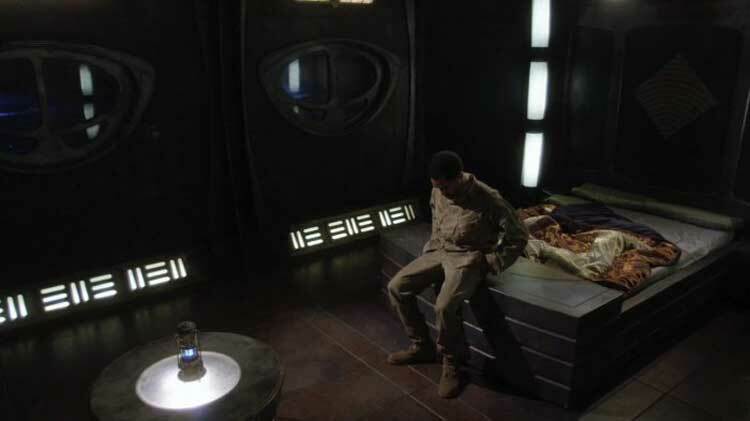 The main plot is a device to expand our view of one of SGU’s most interesting characters. What’s intriguing about the Greer story line is that it also plays into some fans’ negative feelings of the series. Giving the character an abusive father seems more sensational than it really is. The plot device is hardly new, but the execution is different than you might suspect. It’s surprising to note that “Lost” is Gero’s final script for SGU. He was an executive producer for SGA and wrote many of the show’s classic episodes. The flashback structure in this episode works because it doesn’t pull us out of the story. We only catch glimpses of Greer’s past and must fill in the gaps. These segments are the most convincing parts of “Lost” and make it more than just an adequate yarn. We suspect the characters will eventually reach the Destiny, so there’s little concern that we’ll lose them. It’s the development that makes everything click. So much of the actions in “Lost” spring from luck more than skills and intelligence. Greer becomes trapped in the rocks because he was standing just a few feet away from the others. His apparent misfortune actually leads to rescue by James’ team. Eli needs to guess which Stargate to dial and has a 50/50 chance of being wrong. Even when he discovers the alien ship and they find the right path, bad timing dooms their chances. Rush and James split up and try to cover enough ground, but it’s also a guessing game. 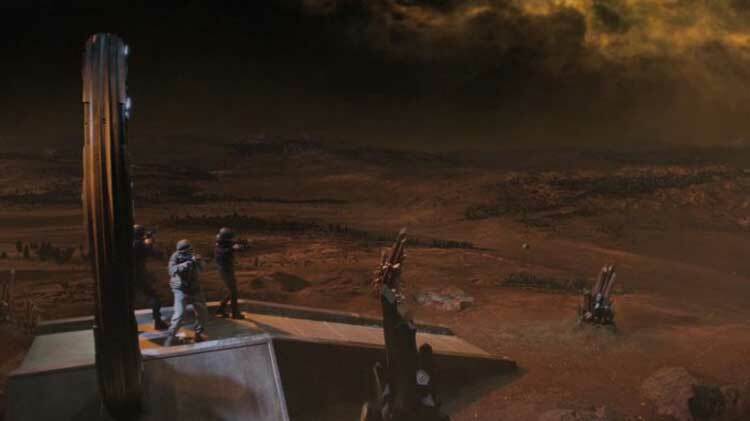 The best move for the lost group was staying put on the original planet once they escaped the tunnels. Of course, they had no way of knowing about the possible rescue. Random chance saved Greer and left the others in a dire spot. Despite the bad result, this situation allows everyone to use their strengths. Greer shows his determination in crawling out of the rocks and nearly catching the others. It’s a tense moment but loses some impact because of the editing choices. The rapid cross-cutting between Greer’s run and dialing the Stargate actually saps the energy. The choice to use more conventional editing seems out of place on SGU. Regardless, Jamil Walker Smith sells Greer’s effort and frustration when he falls short. Eli also excels with navigating the Stargate system, and Scott bravely acts as the human kino when their device fails. Chloe also discovers the maps that lead them out of the tunnels. It’s a great team effort despite the poor results. We’ve seen few aliens on SGU beyond the Squigglers in “Time” and the intelligent enemies first seen in “Space”. This limited use makes the appearance of the massive dinosaur-like creature a real treat. The planet’s foggy setting is straight out of a horror film, and the reactions from Scott, Eli, and Chloe to the monster are priceless. It’s a silly moment of levity in a mostly serious episode. It also reminds the audience that we’re in uncharted territory. These aren’t well-explored planets with predictable enemies; virtually anything could be out there. The SyFy network originally ruined the creature’s appearance in the promos. I enjoyed the surprise on this viewing and the hilarious reactions from the characters while they fled through the Stargate. Throughout his time on the Destiny, Greer has proven his military skills, bravery and loyalty to his fellow soldiers. On the other hand, he also distrusts authority and keeps his past demons to himself. He was imprisoned in the brig on Icarus Base and hasn’t overcome a rough childhood. We saw a glimpse in “Human” when Greer didn’t take Eli’s comments about being scared as a joke. There’s plenty to unpack from Greer’s past, and we see glimpses in this episode that fill in the gaps. His father (Sean Blakemore) is an imposing figure who abused young Greer after returning from the Gulf War. The orange haze of the flashbacks brings a nightmarish quality to Greer’s memories. These flashbacks don’t impact the plot directly, but they offer a better perspective on Greer’s past. His father appears as a hallucination and taunts Greer after he fails to catch Scott’s group. The anger and determination in the guy on the Destiny spring from both the abuse and the loss of his dad. The war broke his father, but it could have been worse. The image of the crazy guy in the hospital shouting “it was the war!” reveals another stage of damage. That scene also hints that military chemicals probably led to the brain infection that killed Greer’s father. Despite the horrors of his childhood, Greer still joined the military. It shows an interesting contrast between the destruction of his childhood and the discipline that drew him to the fold. Tucked inside the main story is a touching moment between T.J. and Young. Her failed attempts to reveal her pregnancy to him nearly veer into sitcom territory, but the final scene makes up for it. Louis Ferreira does a superb job in conveying Young’s compassion for T.J. and realization of her future challenges. His tender move to kiss her hand is pitch-perfect, and the quiet smile from Alaina Huffman totally sells the moment. Young makes mistakes and can be rash, but his response to this stunning news reveals his heart. The point that they’ll make this work as a team reminds us that he’s a good person beneath the serious exterior. Less effective is the revelation that James still pines for Scott. Julia Benson has made a lot of the thinly written character, and I’d prefer she do more than focus on a former love. It’s a relief to see her lead the team that recovers Greer and make a real impact. Despite my reservations on the love triangle, I did appreciate Benson’s look when James learns that Scott is still lost. The feeling of resigned disappointment arrives for just a moment, but it works because it’s subtle. Having her discuss her feelings openly with T.J. is awkward and doesn’t really click. A recurring theme in “Lost” is the idea that relying on anyone else is foolish. Even Greer’s friend chose to leave him behind. His dad’s point sticks with him: “In the end, all there is is you.” Greer fights the voice in his head telling him no one cares and must insist that Scott had no alternative. Following Greer’s return, Young’s comment to him about possibly losing the others really stings. He’s the lone survivor and feels terrible about it. When that guilt is combined with the turmoil about his dad, Greer is in a bad place. The final shot of Greer alone in his room with his head bowed lacks the triumphant feeling of a returning warrior. If the others don’t return to the Destiny, this loss will haunt him forever. There are interesting hints of what’s to come within this episode. In particular, Chloe’s ability to read the alien language signals changes from her capture in “Space”. The inner turmoil for both James and Greer won’t go away. We also close with Eli, Chloe, and Scott failing to reach the Destiny. It’s obvious the show won’t remove three main characters, but it’s still a nice move to extend the separation. Despite all their efforts and successes, they still fell short. SGU frequently shows how even the most talented individuals can fail in this new environment. No vicious enemy or nefarious crew member set up this situation. It’s just the risks they take as explorers in the far reaches of space. There will be plenty more obstacles on the horizon.